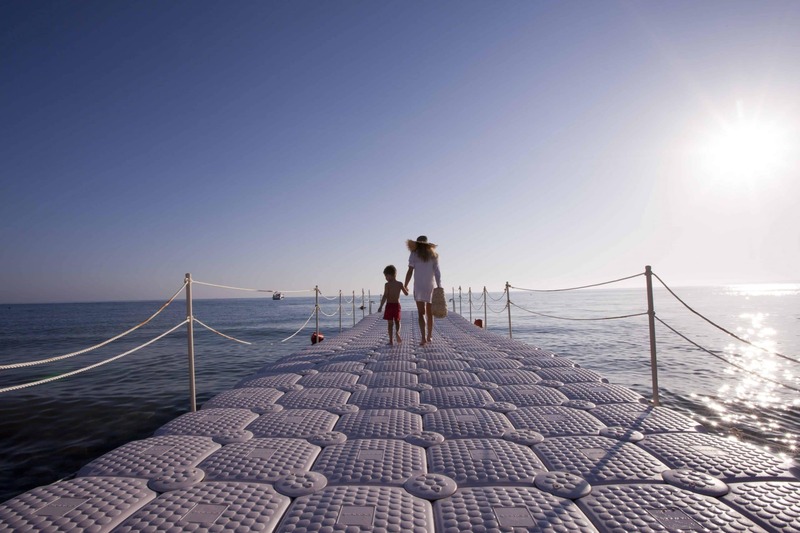 Verdura Resort in Sicily is quite simply one of Europe’s best 5 star family resorts. 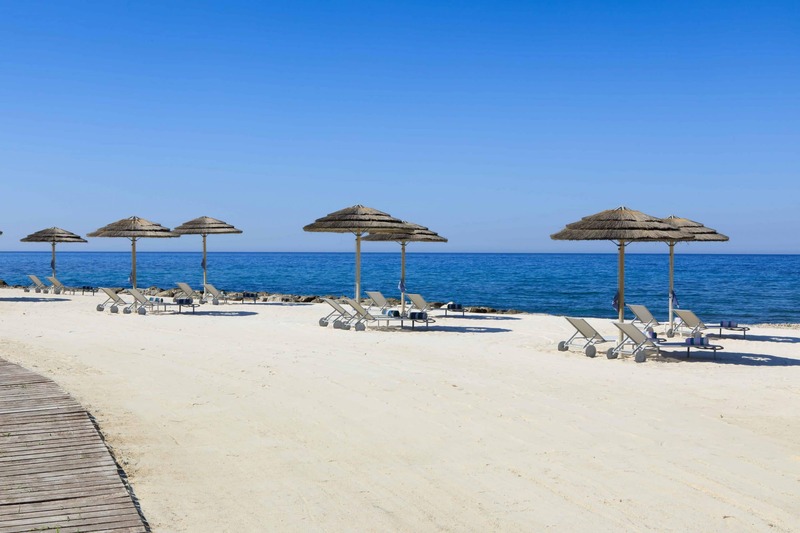 Located directly on the beach and near the gorgeous town of Sciacca on the southern coast of Sicily, Italy. The Verdura Resort is set amongst 230 hectares, and has nearly 2 km of stunning Sicilian coastline. The mood and design of the Verdura Resort’s 203 rooms & suites all of which have ocean views and terraces, is befitting of it’s designer Olga Polizzi – combining contemporary luxury with authentic Sicilian architecture. 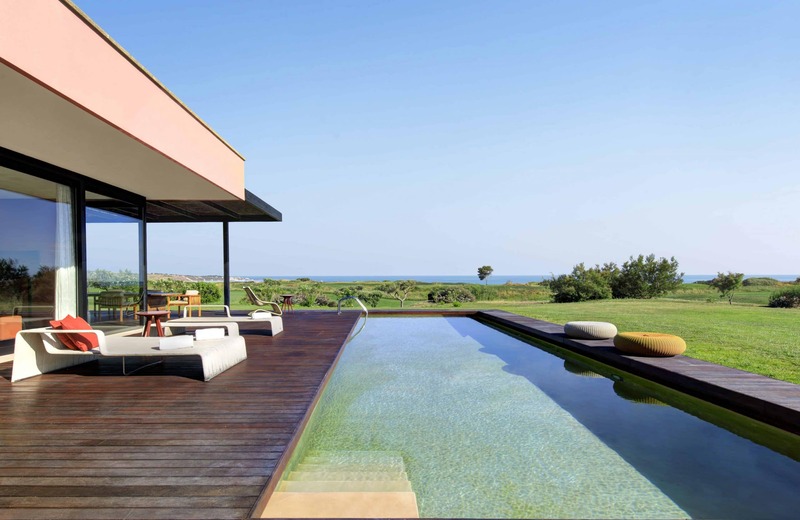 Verdura Resort is Europe’s most exciting resort, located on the south coast of Sicily near the seaside town of Sciacca. Latest news : Verdura has just been awarded ‘Best Destination Spa’ by the Italian SPA Awards and will host a European Tour Golf Event this May. 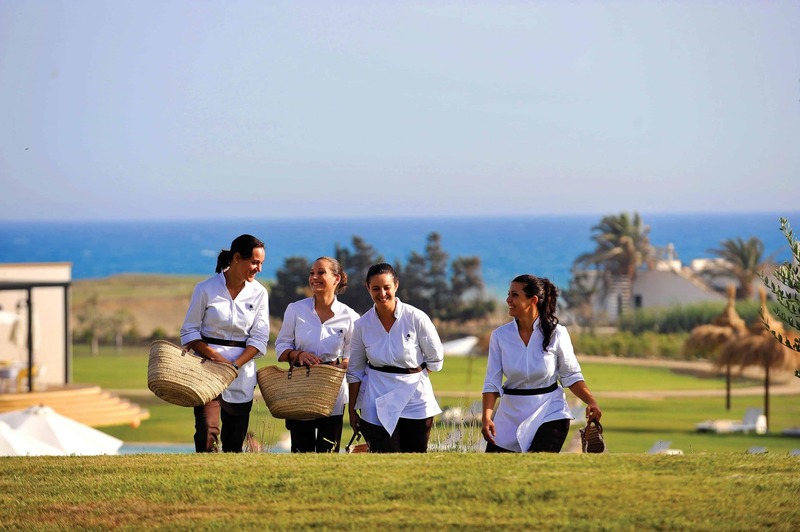 Verdura is a 5-star Rocco Forte resort near Sciacca, Seccagrande and Castelvetrano on the Southern Coast of Sicily. Verdura, named after the river that comes from Lake Favara and flows between Sciacca and Ribera into the Sicily Channel, was designed by Sir Rocco Forte and his sister Olga Polizzi. Verdura resort lies between the Valley of the Temples in Agrigento and the city of Sciacca, accessible off the SS115. Verdura Resort’s strategic location gives it a comprehensive view of the Mediterranean Sea, rocky mountains, and the villages along the coast. Verdura Resort has six tennis courts, three golf courses (two 18-hole and one 9-hole), four restaurants, a kids’ club, a private beach, a 170 square metre gym, and a football pitch. Verdura is the perfect destination for anyone looking to make a holiday trip to Italy. 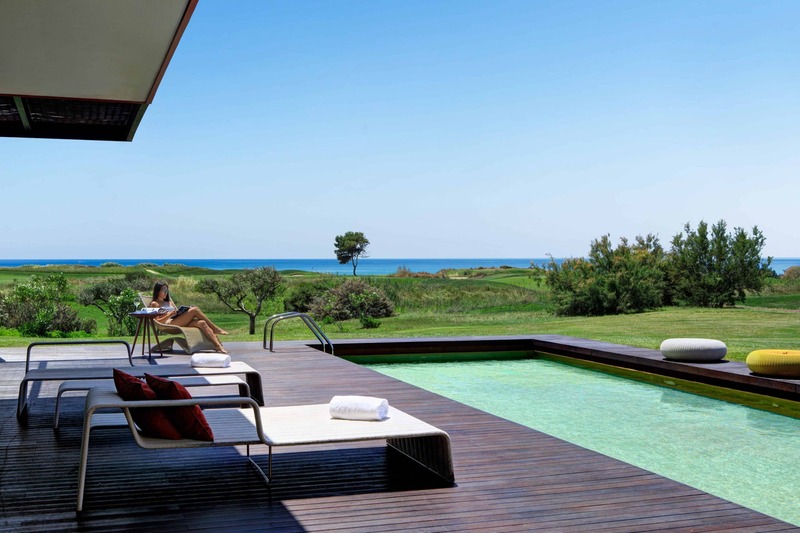 Verdura resort, Sicily, has exciting activities, a relaxing atmosphere, and houses one of the best spas in Europe. Verdura is indeed one of Europe’s top 5-star resorts. Otdoor Gym, Trekking and running trails meandering through the olive and lemon groves. Verduland kids club free of charge for children 4-12 years. Furnished in a contemporary yet traditional Sicilian style, there are 203 rooms & suites in total, each with its own private terrace or balcony and ocean views. Rooms and suites are located in both a Courtyard and Landscape setting. 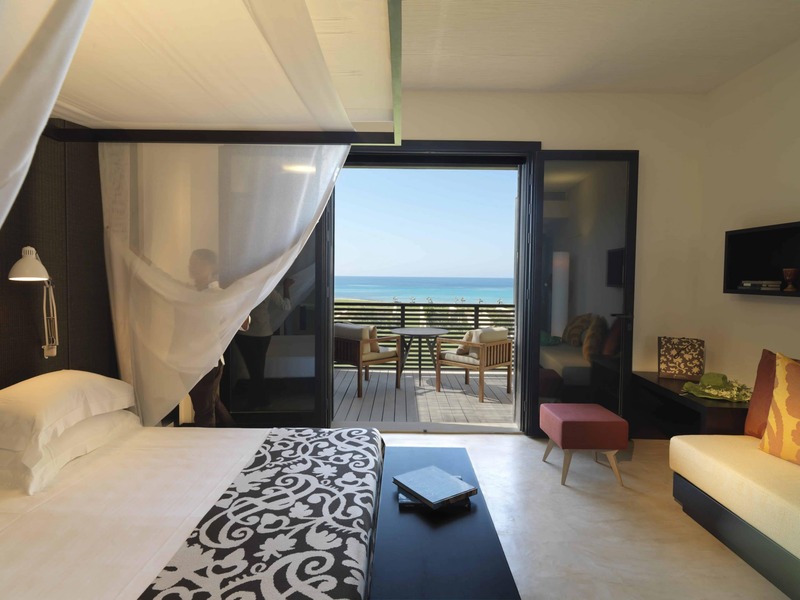 Verdura Resort has tastefully used natural materials such as stone, sand, wood and cane – all of which encapsulate the traditional architecture of Sicily, and each room has the advantage of fabulous indoor and outdoor space. 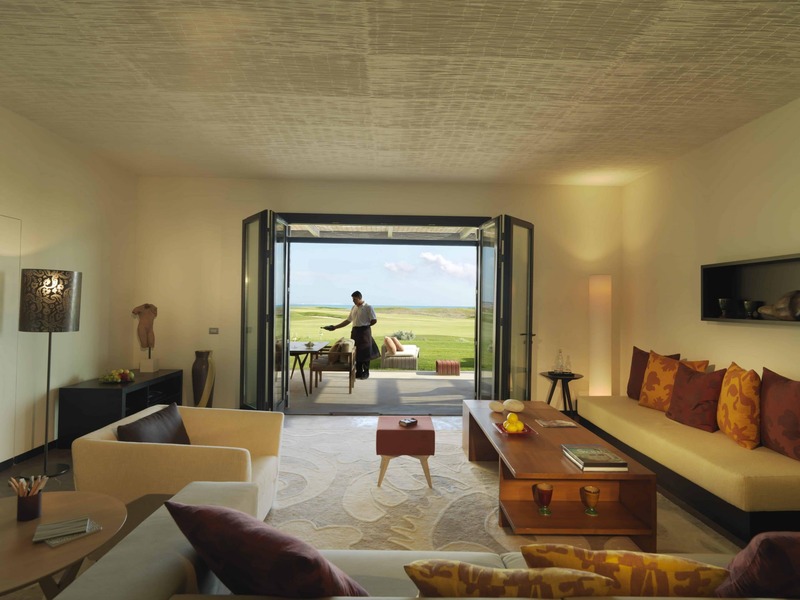 The Verdura Resort room architecture intelligently merges with the beautiful surrounding landscape and the design, conceived by Olga Polizzi, combines true luxury with practicality and simplicity that is in keeping with the local Sicilian culture. With stunning sea views, the Deluxe Rooms have a generous living space and working area. wardrobe. The extensive bathroom has a separate bath and walk in rain shower. All Rooms are located on the First Floor (40 sqm). wardrobe. The extensive bathroom has a separate bath and walk in rain shower. (40 sqm). All Rooms are on Ground Floor. and walk-in wardrobe. The extensive bathroom has a separate bath and walk in rain shower. (40 sqm) All Rooms are on Ground Floor. sitting area for al fresco dining. All Junior Suites overlook the sea and the golf links. (60 Sqm). suites have direct access to the Garden, private seating area and sun loungers. 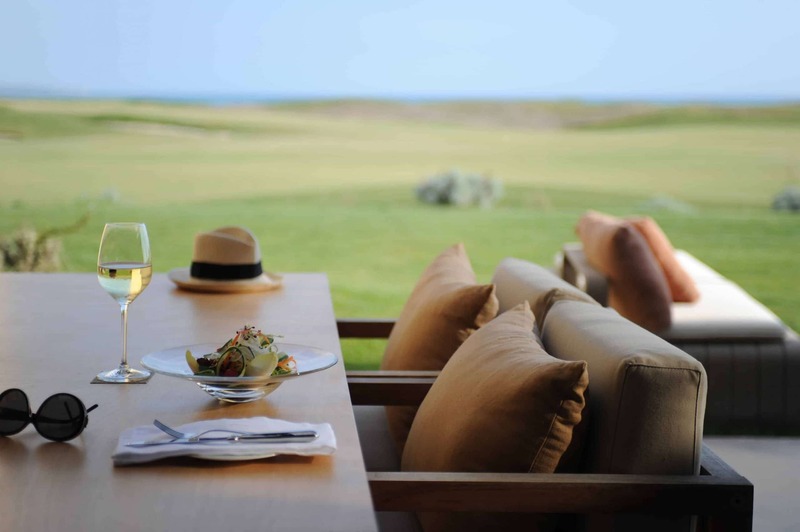 All Classic Suites overlook the sea and the golf links. (60 Sqm). 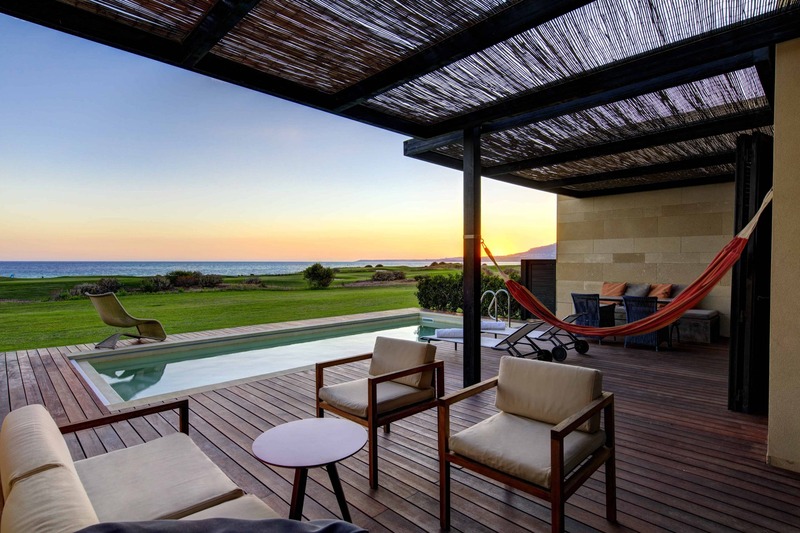 There are 3 fabulous villas at the Verdura Resort (each sleeping up to 9 persons) offering clients the luxury and privacy of your own villa, but with the comfort and style of a 5 star hotel service. 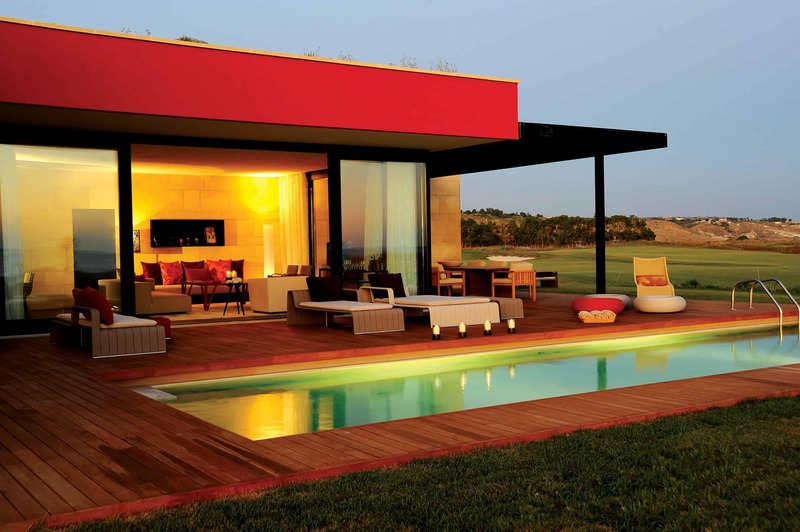 Each Verdura Villa ranges between 260 – 280 square meters. 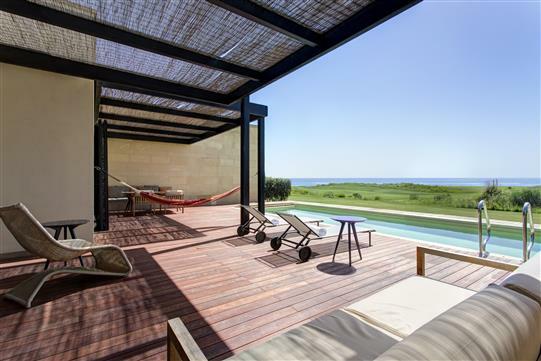 Each Verdura Villa has stunning views of the Mediterranean Sea and the Verdura golf courses. Rocco Forte Hotels bathrobes and slippers. The Verdura Villas also have guest bathrooms. Situated on a hidden 1.8km stretch of Sicily’s sun-drenched shores, the Verdura Resort is lucky enough to have it’s very own beach. Stroll from your room to the beautiful sandy beach and stunning ocean front. Swim out on the blue waters, and you will have a clear view of the Verdura resort nestled into the surrounding Sicillian landscape, with the terracotta roofs and church towers of nearby Sciacca in the distance. Guests can relax on their sun lounger while sipping cocktails from the beach bar, play a game of beach volleyball or take to the water to enjoy the great range of watersports, such as sailing, windsurfing and stand up paddling. With Sicily’s mild winter and long summer months, you’ll find that beach weather of Verdura lasts for most of the year. 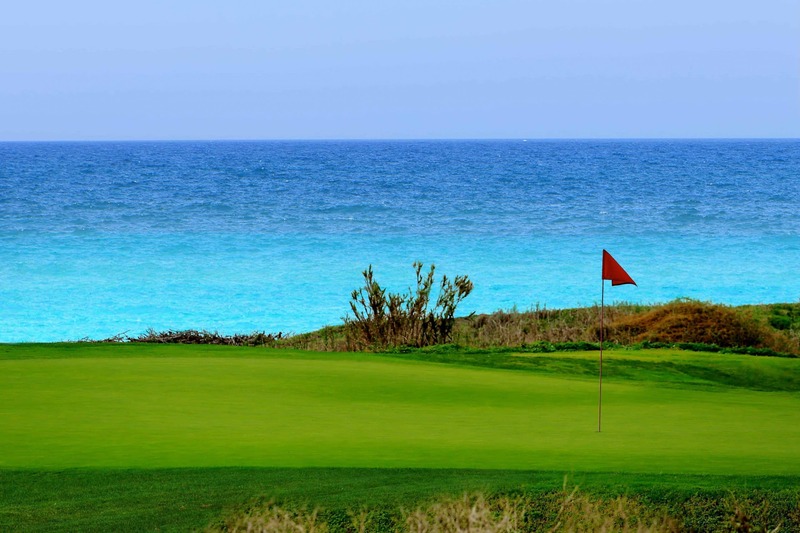 If the warm climate of Sicily makes the island an excellent all-year-round destination for golf, the courses at Verdura Resort make it a truly world-class one. Players from all over the world come to enjoy the 2 sensational 18-hole championship courses and a nine-hole par-three course. All 3 golf courses are in links-style layouts designed by world-renowned golf architect Kyle Phillips, built to the highest specifications and playable all-year-round. 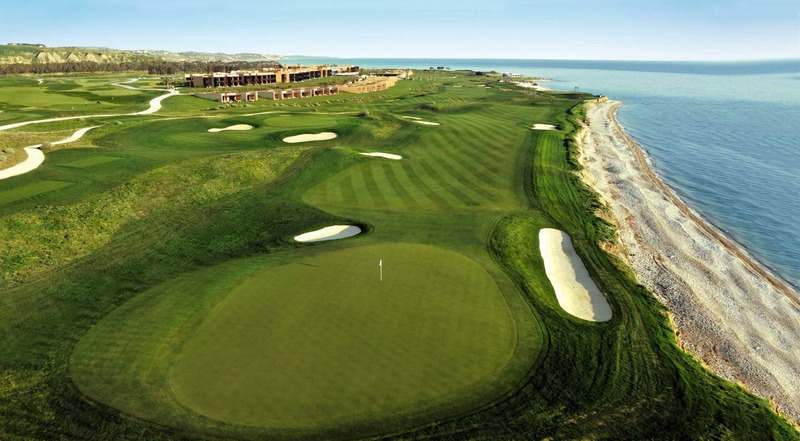 Verdura Resort is a member of the exclusive European Tour Properties network as a European Tour Destination and was the host venue for the 2012 Sicilian Open and will have the honour of staging the 2017 Rocco Forte Open in May. 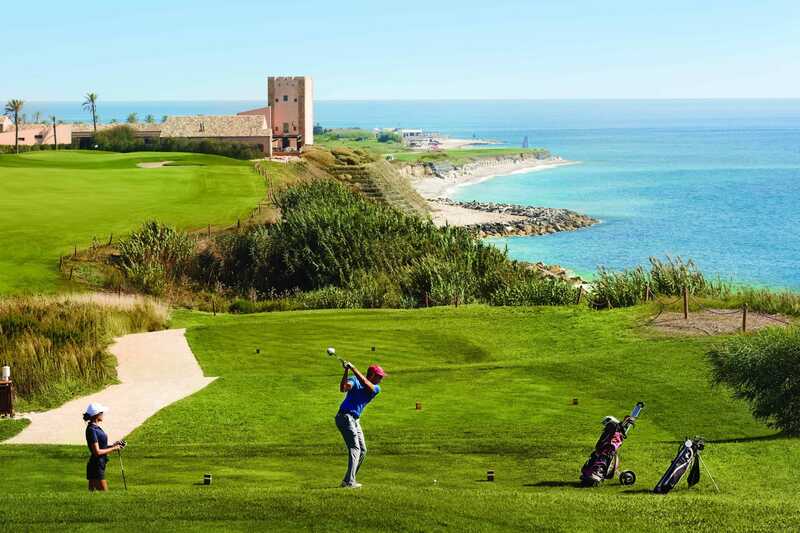 The resort’s East Course is ranked as one of the finest in continental Europe while its beautiful West Course, also a par-72, provides the ideal complement and features one of the most memorable finishes anywhere in the world with the final four holes set alongside the Mediterranean. The Verdura Resort’s courses are matched by outstanding practice amenities including a double-ended driving range and excellent golf academy. The Verdura Resort’s award-winning 4,000sqm Verdura spa with its holistic treatment’s offer health programmes and a collection of running trails through olive and lemon groves. With 6 tennis courts, numerous water sports , football pitch and much more makes the Verdura Resort an ultimate Destination Spa for health, wellness and fitness retreats. Enjoy Verdura Resort’s state-of-the-art gym, with all the latest equipment, such as a kinesis machine, and the possibility of having personal training. 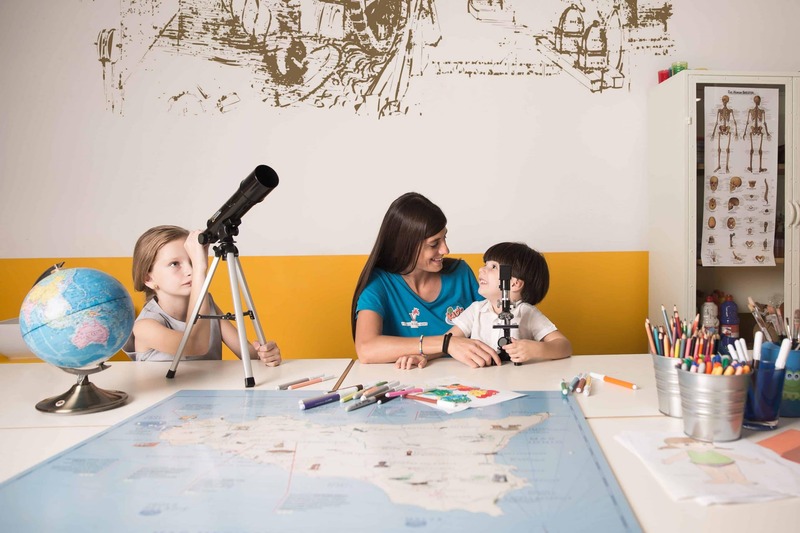 Verdura Resort, carefully designed as a family-friendly hotel, delights younger guests with all ingredients chosen to form a playful and dynamic experience that invites learning and fun. 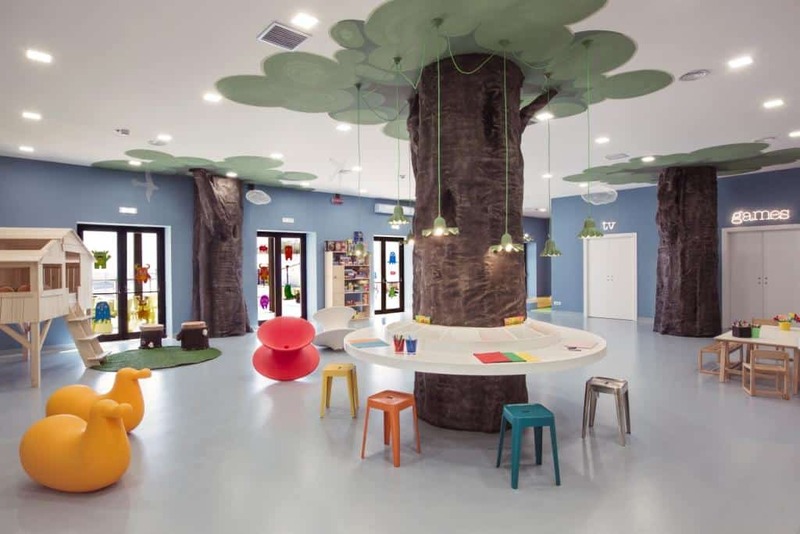 Set among olive groves kissed by Mediterranean sunshine and the best Sicilian coast, you will find the new Verdùland: a lively space dedicated to both ‘RBabies’ and ‘RKids’. R Babies’ ( 0-3 years) have their own ‘sleep room’, a dedicated outdoor playground and an indoor play area, so come rain or shine they will always be occupied. ‘R Kids’ (4-12 years) have an indoor space with different zones, including a TV room, a video games room, a science lab, an arts and crafts area, a kitchen for cooking and much more. There is also a 1.20m deep outdoor heated pool, perfect for playing water polo and practicing underwater tricks. For Teenagers there is The Fort, an area separated from the Kids club, where young adults can meet and hang out throughout the day and early evening, listening to music, playing video games, pool and table tennis. Let’s learn, cook, create, adventure and play with the Verdù hedgehog mascot and the specialised team, or join our Junior Sport Academies merged into the Resort’s natural beauty. Excursions nearby are also organised, such as riding and trips to beautiful beaches. At Verdùland Verdura Resort welcomes newborn babies as well as children aged between four to 12, offering just as great stay as the grown-ups. Verdura has not forgotten the teens, who will be worked with to create bespoke programmes designed to meet their individual interests. ‘RTeens’ will have the freedom to explore the resort’s extensive grounds and benefit from its wellness and spa offering. With a focus on wellbeing, RTeens will be challenged by assault courses, work out in boot camp sessions, and learn to relax and meditate through yoga. As the wellness hub for Rocco Forte Hotels, Verdura Resort will also offer healthy cooking master classes to educate RTeens on the benefits of leading a well-balanced lifestyle. In addition to this range of exciting activities, Verdura Spa has created a bespoke menu of treatments for ‘R Kids and R Teens’. Children from the age of 4 to 16 can enjoy specially created massages, manicures and facials, designed with young skin in mind. Access to the Kids Club is complimentary for children from 4 to 12 years of age. Verdura Resort have created a culinary experience as unique as the island. With 4 different restaurants and 4 bars, plus private dining options, overseen by the famous celebrity chef Fulvio Pierangelini, guests can choose the perfect venue to suit every occasion. The Verdura Resort has an extensive wine cellar stocked with many regional wines from around Italy and the world. Children also have their tastes catered for. In each restaurant a specially created menu features freshly made favourites that can be served at the table or brought to your room. If you want to chill out over a freshly mixed drink, the Verdura Resort’s 5 bars – set in different locations around the resort – provide a relaxing and stylish environment throughout the day and evening. Guests can take a coffee or a cocktail at La Granita, a drink or two at the Pool Bar or at the Oasi Bar, and try a vitamin-packed fruit cocktail in the Spa Bar. For private dining guests can order from an extensive room service menu, and the resort offers a unique Romantic Dining Experience, which will set up a table, white linen and candles at your chosen spot in the resort, whether in the gardens or on the beach. This casual restaurant serves an international buffet breakfast. Location: On the lower floor of the Main building. The restaurant has an outside terrace. This beach restaurant has outdoor seating overlooking the sea and serves fresh and simple cuisine including: a selection of antipasti, salads, grilled fish, barbecue and pizza. Amare Seafood Market features a lively open kitchen where chefs prepare the freshest fish and seafood from the large market-style display. Location: On the beach. The restaurant has an outside terrace. Location: At Torre Verdura. The restaurant has an outside terrace. Please note there is a smart casual dress code in Verdura restaurants in the evenings. Lunches and snacks are also available at the bars. 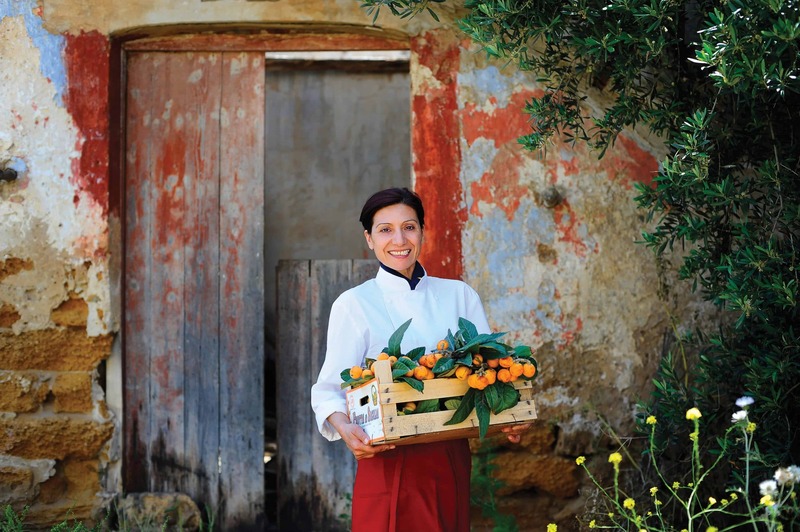 The warm Mediterranean climate makes Sicily an idyllic year-round destination, so Verdura has devised a number of ways for guests to make the most of the sunshine and glorious fresh air. You can splash out in the 60-metre pool, jog around the lush island countryside, play a game of football and practice your lightning serve on the tennis courts or try your hand at something new! The list of possibilities is only as limited as your imagination. Future football champions should not miss the new and exclusive Juventus Summer Training sessions taking place between July and early September at the Verdura Resort. Children aged 5 to 16 years of age will be able to join some of the world’s best football coaches , educated and trained by the famed Juventus Football Club – for daily 2 & 1/2 hr training sessions followed by a 30-minute match which will take place on Verdura’s full-size football pitch, set amidst a beautiful backdrop of mountains and orange orchards. Enjoy 2 1/2hrs daily coaching with fabulous skills and match sessions from €370 per child on a 4 day course / €405 per child on a 5 day course and €485 per child for 7 days. Included in the cost of the course is 2 sets of training kit (shorts / shirts / socks). There are 6 floodlit clay tennis courts set amidst the Sicilian countryside and enjoying impressive mountain views. 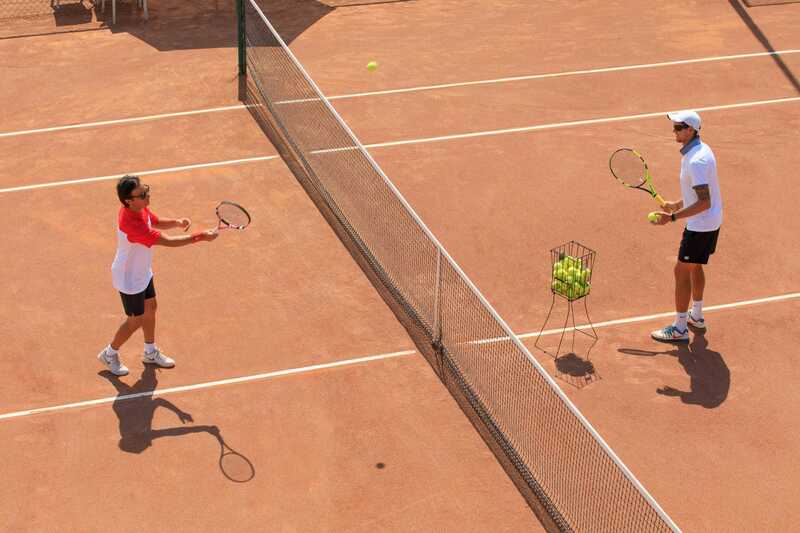 The Verdura Tennis Academy is based at a specially built clubhouse with changing facilities and a lounge, as well as a boutique shop for equipment hire and sales (e.g. Babolat and Wilson racket rental and sales); restringing services are also available. Individual or group lessons are available for children and adults alike. The Verdura Water Sports centre offers an array of different activities and is managed by Verdura Resort’s friendly and qualified team of instructors. Rentals, private lessons and introductions to Water Sports are all available. Introductions to Water Sports are complimentary and purely theory based, taking place in the pool or on the beach. Rentals include flippers and snorkels, double and single canoes, stand up paddles, windsurf boards, wave surf boards, sailing boats, as well as water skiing, wake boarding, banana boating and doughnutting. Lessons and introductions for windsurfing, water skiing, wake boarding, stand up paddling and sailing are available. Swimming lessons are also offered. Some of the Verdura Resort’s top tips include canoeing, sailing or stand up paddling at sunset or sunrise, fishing trips or boat trips to explore the neighbouring sandy beaches with a picnic on board during the day or even at sunset or sunrise. The facilities, team of qualified instructors, beautiful Mediterranean sea, multi-coloured aquatic life, stunning sandy beaches and never failing Sicilian breeze make Water Sports at Verdura a top class experience. 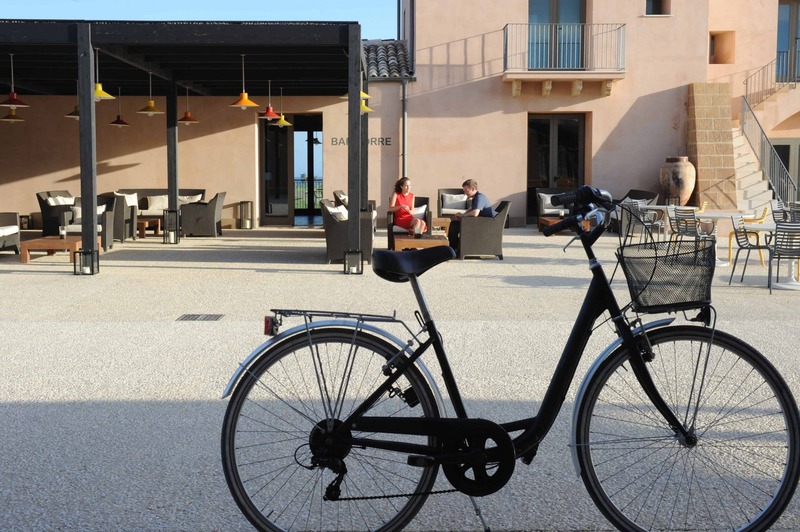 The Verdura Resort is the perfect location for cycling. Guests at the Verdura Resort can explore the enormous grounds with its unique landscape and rich vegetation. Guests can explore the Verdura Resort’s vast grounds with several different jogging routes and organized group runs with a fitness trainer. 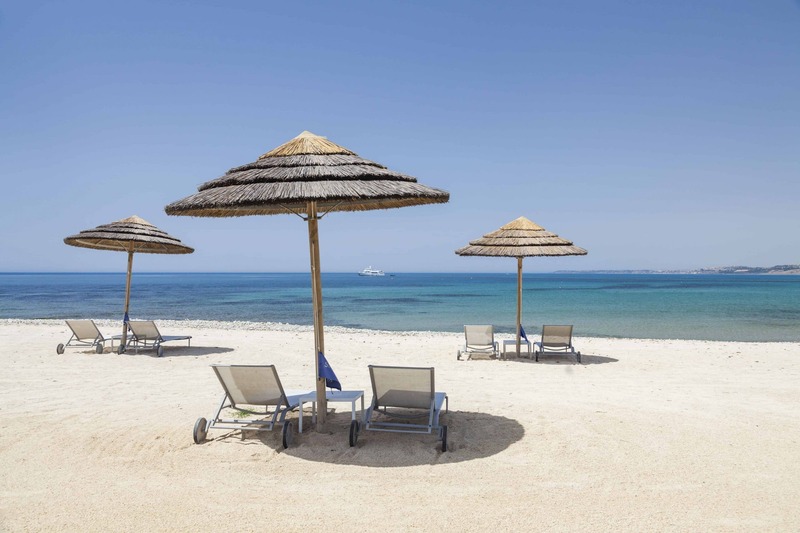 Guests at the Verdura Resort can enjoy the beauty of Sicilian sea and sand whilst battling it out at volleyball on the beach. 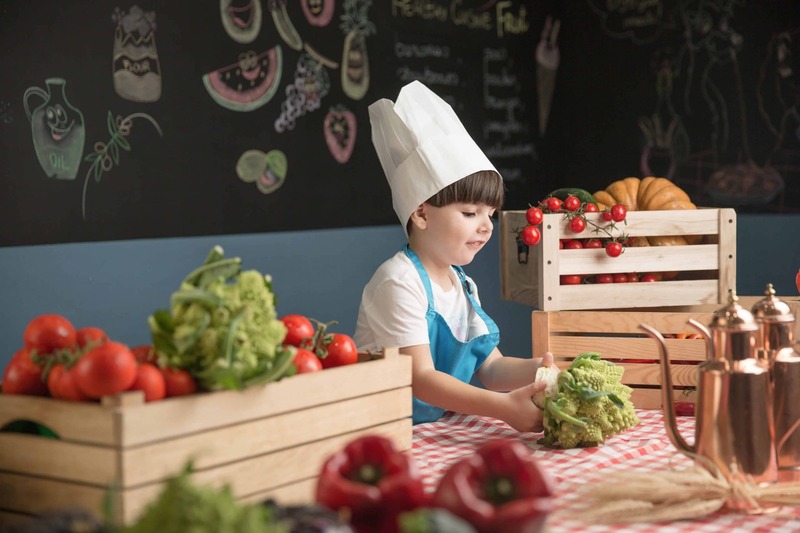 Verdura’s Verduland is specially designed for younger children, and features all they need to have a great time; the Kids’ Club caters to children from age 4 to 12, with a number of activities to learn from and enjoy, like cooking lessons, acting, pottery classes, and more. There is also a room for watching movies and cartoons. The outdoor area has a pool, swings, a sand pit, and a variety of playground equipment. Guests at Verdura have the opportunity to be DJs for a day at Amare Bar. Reservation is, however, required. There is an interesting game called The Escape Room at Verdura. Participants have to solve physical puzzles and riddles within specified time limits in this popular adventure-type game. The Escape Room is located at the Old Verdura train station. Outside Verdura, guests can visit historic and interesting sites of Sicily, such as Cala Rossa Favignana (140 km from Verdura resort), Piazza Armerina (150 km from Verdura resort), and Erice (120 km from Verdura resort). Verdura features a Teens Club that can get even the most reserved kids to loosen up and have fun. Verdura has a variety of games for teens aged 13 to 18 to choose from, including billiards and pool tables, board games, a Nintendo Wii. They can also engage in sporting activities like tennis and football. Verdura has four restaurants: Liola, Buongiorno, Amare, and La Zagara. Some of the bars in Verdura are Granita Bar, Beach Bar, Pool Bar, and Torre Bar. Granita Bar offers a comprehensive and impressive view of the sea and mountains, with a menu that features a wide range of Sicilian-style drinks and cocktails, and classical Mediterranean dishes. 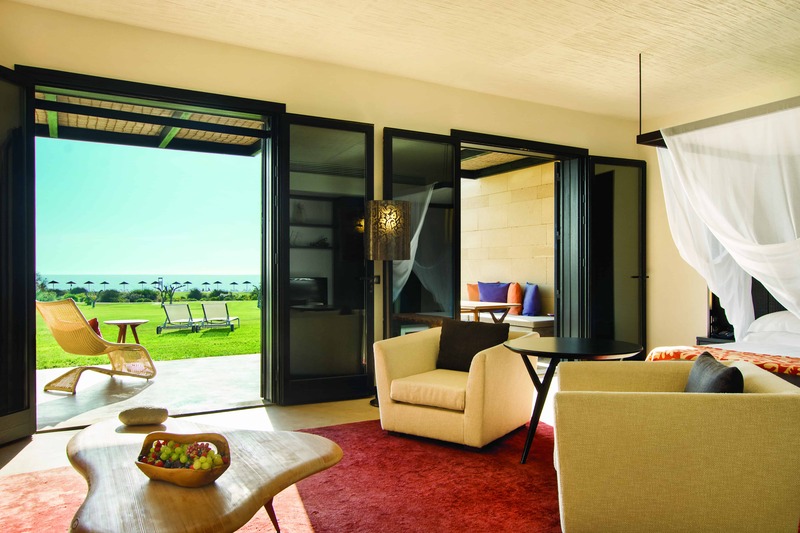 If what you need is a luxurious and entertaining holiday destination, Verdura Resort between Sciacca and Ribera on the Southern Sicily Coast is the place to be. It has all the allure to make your vacation memorable, and Design Holidays can help you with all the necessary arrangements. Call us now or send us a message and we can get started! Verdura resort is 80 minutes away from Trapani International Airport. The historical archeological site, Valley of the Temples. 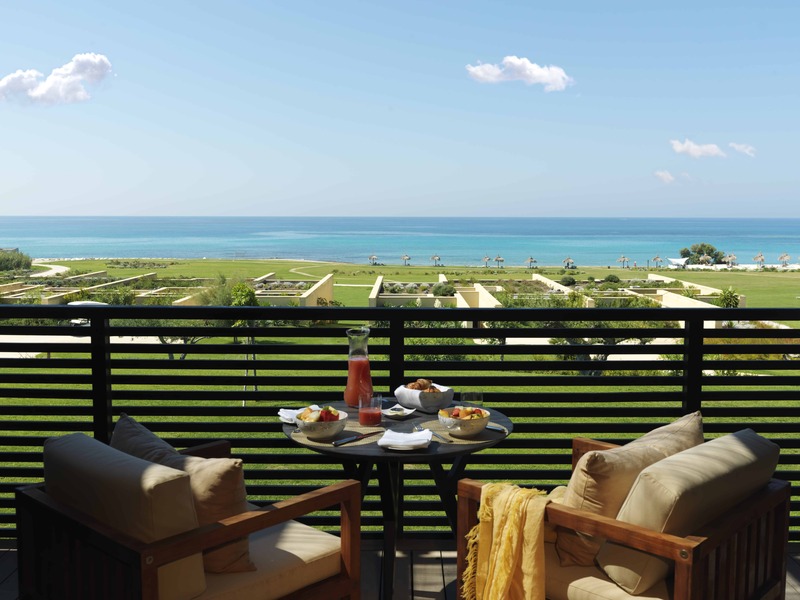 Verdura Resort is situated on the south-west coast of Sicily 15 minutes from the stunning town of Sciacca. 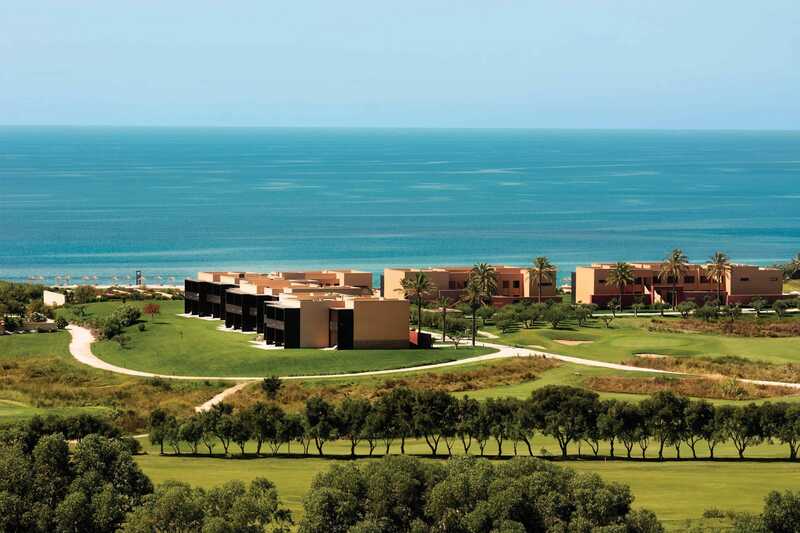 Set in a valley of olive groves, the Verdura Resort is 40km from the ancient town of Agrigento. The closest airport to the Verdura Resort is Palermo, the island’s capital. Palermo International Airport can easily be reached by plane from many European cities. The Island also has two other airports; Trapani Airport is located on the West coast whilst Catania Airport is located on the East. Verdura Resort has its own helipad for guests wishing to arrive by helicopter. Transfers by private car from all airports can also be arranged. Alternatively, it is easy to hire a car from all three main airports.